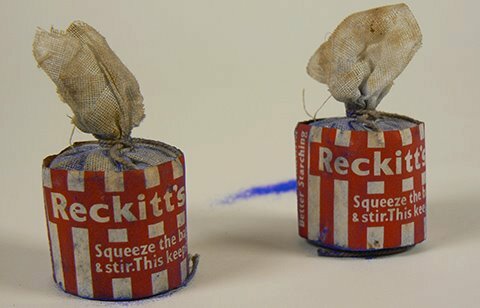 We buy these little packets filled with blous (blue powder) at the drugstore. Many mothers rub blous under their newborns’ feet to protect them against Oyada (Evil Eye). Others rub blous in their hair, between their buttocks. Some even shower with blous, rubbing the blue powder all over their body… to protect against Oyada. Robert Rosa enjoys the Salsa Antillana Hunta bo kurpa ku blous pa bo no hanja ojada.